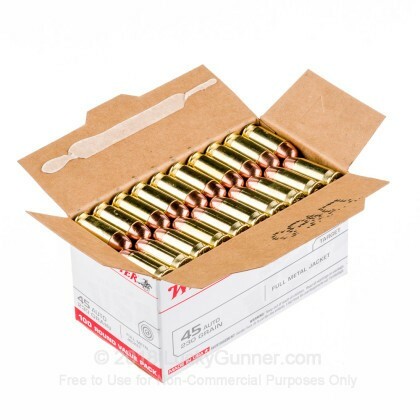 Quality .45 ACP Winchester ammo with good cases for reloading. 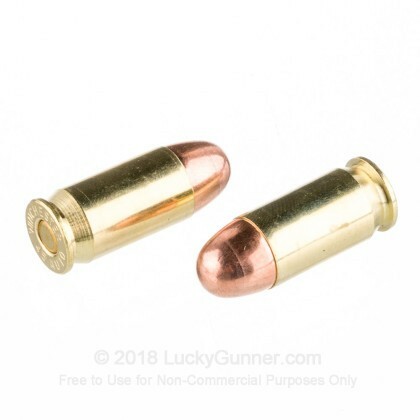 This ammo is a decent price and is high quality. 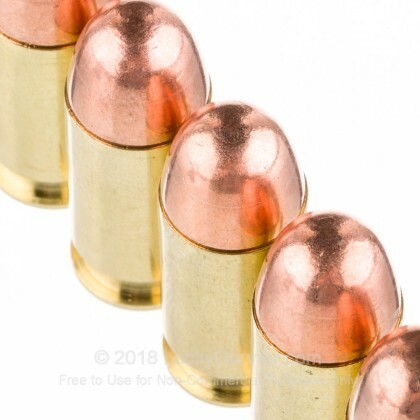 The FMJ bullets are too heavy for self defense purposes, but it makes excellent, reliable ammo for practice with any .45 ACP weapon. I do not get ricochets shooting at steel targets, so the ammo has plenty of power to avoid this problem. If it were any cheaper it would be another, lower quality brand. I stick with this stuff. Keep up the good work! Rapid delivery is what sets Lucky Gunner apart. As well as selection. Great ammo. Able to use at indoor ranges. Shot several hundred rounds through my Glock suppressed and unsuppressed without issue. 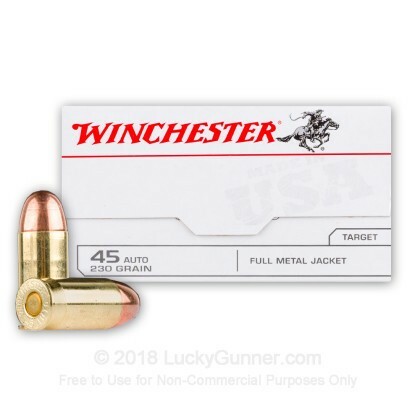 This Winchester 45acp is a great quality ammo at a price that makes it extremely affordable my Sig229 worked flawlessly with this ammo, lucky gunner provided fast shipping and this product is made in the USA, I have recommended lucky gunner to several friends. Went through about a 100 rounds so far. Works flawlessly in my Kriss Vector. Loving the precision. Would buy again. Very happy with this ammunition, have used about half the rounds so far with no failures, seems to shoot as accurately as I can. Got it on sale for $169, so even with shipping only .37 per round, so excellent value. Shipping was very fast and easy, my only suggestion would be to possibly use a non-descriptive outer box, Winchester was prominently displayed on my front porch until I got home from work to retrieve the package. Fast shipping, have not shot them yet. I have a Kimber Ultra and it performs flawlessly. Just burned 200 rounds today and accurate and no malfunctions. I will order more of this for sure. I carry a remington 1911 commander. This ammo performed As expected. So far Every round cycled and fired. It seemed noticeably cleaner to me sitting there with it all apart after the range shoot. Worth the the price. Shopping was fairly quick. Neatly protected packaging from Lucky Gunner. I always worry about it sitting out at my door in the rain. Super fast shipping! I shot 100 rounds with my new Sig 1911 nightmare and have no problems, I could not be more happier than this product. I 'd love to buy them again. The value is there... But my Springfield mod2 did not like it at all! All sorts of failures and I still have 400 rounds to go. I have also shot some Fiochi & Federal and never had a problem.. I am not a happy shooter using this stuff..
Bought the 500 rd package at great price. As usual Lucky Gunner ships immediately. The 200+ I shot all worked great, no problems at all. I will buy more. Great product. Since I have ordered from you before, the service was as expected, on time and just as I ordered! Purchased 500 round and fired them through both a S&W Pro Series Scandium Compact and a Kimber Ultra Carry TLE. Ammo performed very well and price was competitive. Shipping and delivery from Lucky Gunner has always been excellent. This was the first time I used Lucky Gunner so I bought 500 rounds to start off with... I will def be using them again! Everything was easy to do and shipped fast (ordered on Monday had it by Wednesday). 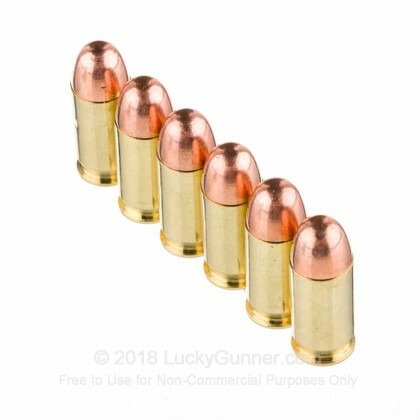 The ammo is a great product I've used this ammo before and have never been disappointed. Bought 500 rounds for new Tarus 24/7 45 ACP, to build up reloading cases. It performed very well and was very clean. As usual shipping was right on great. 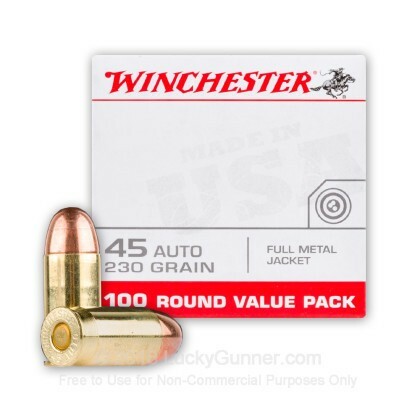 We also have this 45 ACP - 230 Grain FMJ - Winchester USA - 100 Rounds ammo in stock in a smaller quantity.